LOCATION LOCATION LOCATION! 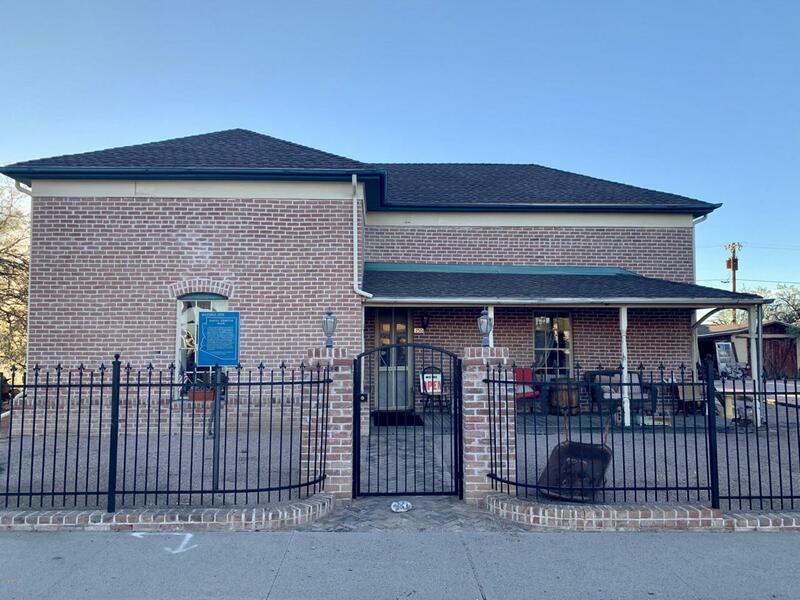 This charming, historic red brick property conveniently located in the heart of Florence with Main St exposure and walking distance to the historical district. Featuring classic wrought iron fencing, a large city lot, and circa 1910 craftsmanship rendering great curb appeal. Take a step inside and you will see the love, care and preservation of a timeless architecture. Currently zoned Highway Business Commercial (B-2), which opens a plethora of options for potential uses. The building amenities include a total of 3 rooms, plus a kitchen, 2 bathrooms, and an office space for a grand total of 1730 sqft. Take advantage of the low taxes, as the property is on the National Historic Registry making taxes ultra affordable!